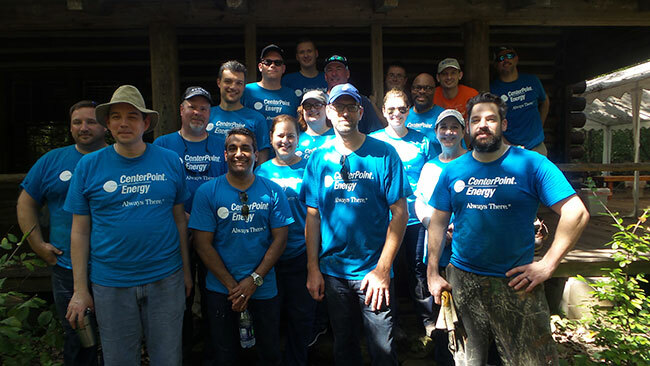 CenterPoint Energy sent 19 members of their Leadership Academy to Edith L. Moore Nature Sanctuary on Wednesday, October 3, 2018. These hard working, well-dressed individuals split into two project teams, one working on moving heavy lumber out onto the trails for the Bridge 11 rebuild. The other team worked in the Natives Nursery. Click here to see a photo gallery of the team at work. Thanks very much CenterPoint Energy!